Plans To Cut Health Costs May Not Pay Off The United States spends $2 trillion on health care every year. If costs continue to rise, health economists say the U.S. could see a significant drain on spending in areas such as the military or education. McCain and Obama both promise to cut costs, but their plans may not be aggressive enough. In a discussion about the presidential candidates' health care plans, the starting point is the number $2 trillion. That's what the United States spends each year on health care. Plans by both Democratic Sen. Barack Obama and Republican Sen. John McCain aim to hold down costs and improve the quality of care. And both candidates propose to do so through the existing private health insurance system. The idea is that with more customers, insurers will compete for business by offering good policies and finding ways to make care more efficient and thus cheaper. But at least one health expert says that whatever savings their plans might provide won't be enough to offset rising care costs. McCain's approach is to provide tax credits to help people buy health insurance. The Arizona senator's economic adviser, Douglas Holtz-Eakin, says, "It's going to be $5,000 toward every family's purchase of health insurance, something that basically would be a non-event for people already getting insurance from their employer. But for those who are buying it out of pocket, a lot of help there." Holtz-Eakin estimates that about 20 million to 30 million people who don't currently have insurance would buy coverage. He says the tax credit is budget-neutral from the government's point of view: It will be balanced by taxes on health insurance payments by employers. McCain has said his plan also is designed to help people who have a medical condition and can't find insurers that will cover them at a reasonable price. "Our estimates are that that will cost about $20 billion, if you configure it along the lines of states like Minnesota that have been successful in reaching this population," Holtz-Eakin says. He won't project the effect on the nation's health care bill, however. Obama's health plan would require employers to contribute toward health insurance, a benefit that only half to two-thirds of workers now get. No one could be denied coverage. The Illinois senator's health adviser, David Cutler, says the plan would cut spending by 8 percent, though the savings could take several years. "What we estimate is that Sen. Obama's health plan would reduce the cost of health care by about $2,500 for a typical family," Cutler says. "That's a combination of direct out-of-pocket costs that the family no longer has to make and premium payments from their employers that families are now paying in the lower wages that they receive," he says. It also means less money paid out in taxes as the government needs less money for its own health plans, such as Medicare and Medicaid. Both candidates are looking to some of the same places for cost savings. They've talked about the availability of preventive care — so that high-cost medical conditions might be avoided — and the promotion of less costly generic drugs. They also envision that the development of health information technology would not only simplify billing but prevent duplicate services and inform doctors about the best and most efficient care. Obama says he would provide government support to that end. Princeton University health economist Uwe Reinhardt says that while these initiatives might help people, there's not much evidence they'll save money. Reinhardt doesn't believe preventive care or chronic-care programs for conditions such as diabetes or high blood pressure will save money in the long run, but he says they will "enhance quality of life" and give people more value for the dollar. And he says health information technology is horrendously expensive to put into place and maintain. 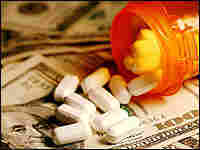 As for generic drugs, they are already widely used. The campaign officials say that taken together, the initiatives will result in a more efficient health care system. Meanwhile, polls show that interest in health care reform, once high, has slackened. Reinhardt says that if nothing changes, people will have more than health care to worry about. "After 2025, if health care keeps growing like it has in the last 40 years, then there will actually be less money for education, roads, military, fashion, and everything else," he says. But by then, the problem of rising health care costs will belong to another set of candidates.